Bike-sharing took off in China, where many city dwellers battle smog and bikes offered a potential clean alternative. 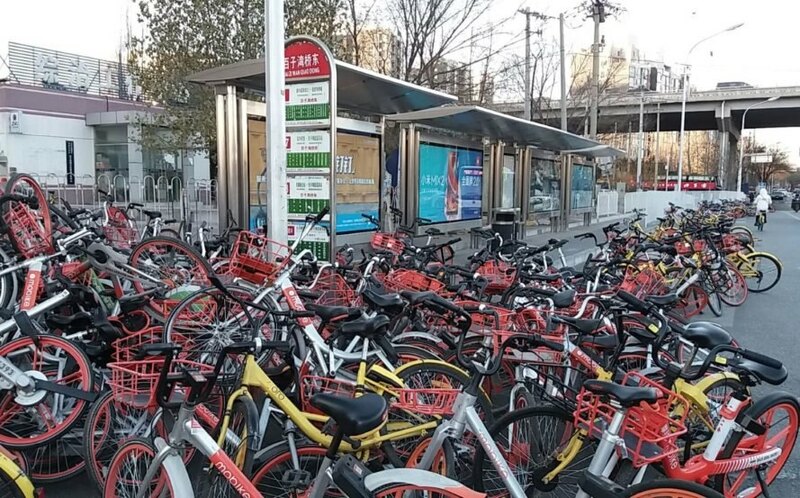 Now, without the infrastructure to support them, and an over-saturation in the sharing market, abandoned bikes have piled into massive graveyards in cities like Shanghai and Beijing – forcing us to ask: are bicycles polluting metropolises they were intended to aid? Bike graveyards have grown as some bike-sharing companies fold, and their surplus bicycles sprawl in vacant lots. DW said police now have to gather unwanted vehicles from roads and parks, and pile them in fields out of city centers. According to Fortune, last year Ofo launched a credit score system: users would be penalized for antisocial behavior like traffic violations or bike dumping, and rewarded for positive behavior, like reporting damaged or lost bikes. If users’ points were all deducted, they’d be barred from the service. Health and air quality benefits are still present with bike-sharing, and The Atlantic said the trend is still popular, and bike-sharing will likely keep growing — just maybe at a slightly more sustainable rate. Bikes are piling up in China. 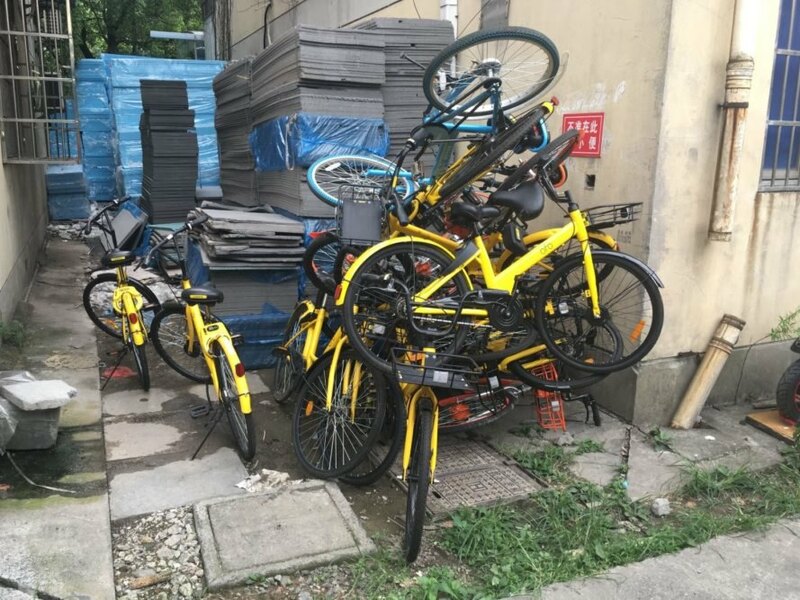 After China's bike-sharing craze, some bicycles are now accumulating unwanted in piles. 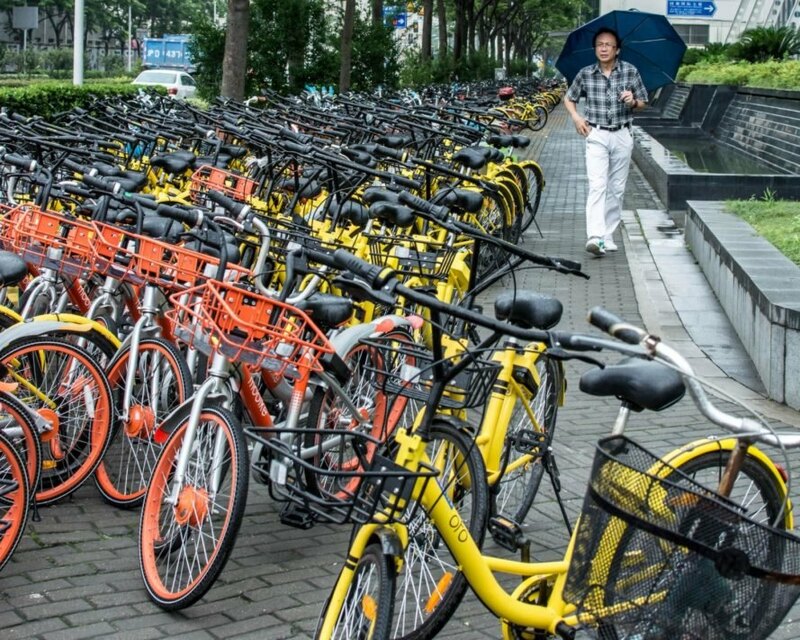 There are millions of bikes from bike-share startups in Chinese cities.